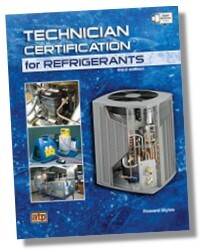 Technician Certification for Refrigerants, 3rd Edition is a text / workbook that provides an overview of the latest information on safe and efficient storage, transportation, and usage of refrigerants. 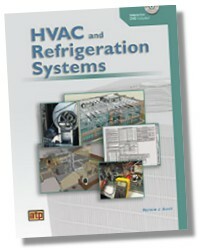 This new edition text / workbook has 18 chapters that include the latest EPA 608 regulations and their implications, and the latest HFC and PFC refrigerant information. Also in this new edition text / workbook are step-by-step procedures, Canadian refrigerant ODP regulations, and a new Type II refrigerant recovery interactive animation. 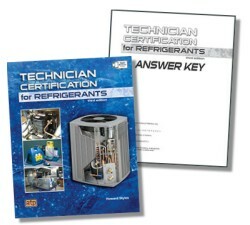 Technician Certification for Refrigerants includes information on recovery, recycling, and reclaiming of refrigerants for all types of air conditioning systems. 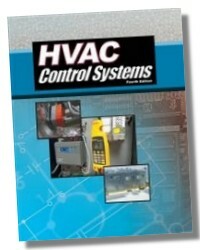 This book can be used to prepare for the refrigerant questions of the EPA core, Type I, Type II, Type III, and / or universal technician certification tests. The book can also be used for the Canadian ODP certification. 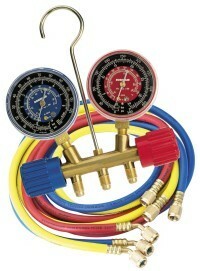 Sample refrigerant certification test questions are included for each type. 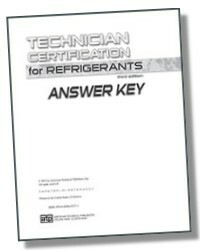 The Technician Certification for Refrigerants Answer Key includes answers to the review questions and activities in the text/workbook.